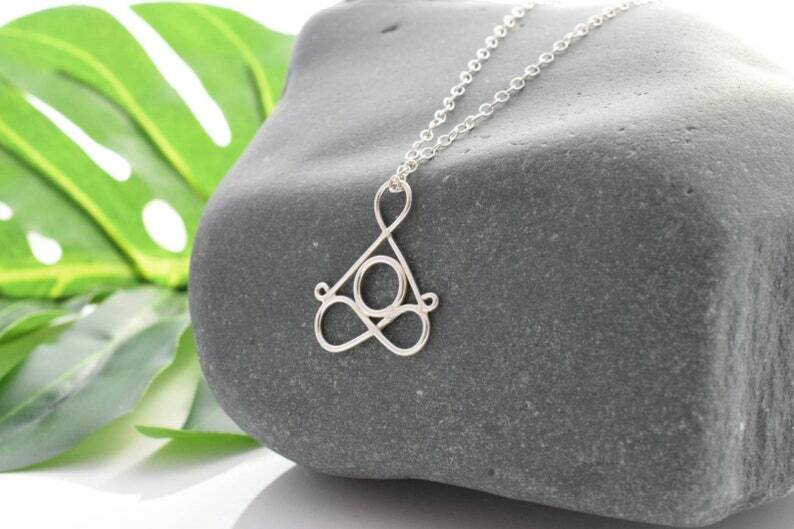 This beautiful handmade Sterling Silver necklace is a wonderfully mindful addition to any collection! I have hand forged, shaped, soldered and finished this sterling silver symbol of the yoga lotus pose. It is 100% made by hand, so each piece is absolutely unique & one of a kind - just like you! Padmasana, also known as the Lotus position, is perhaps one of the most recognisable poses in yoga. It improves posture, strengthens the spine and encourages peace and stillness. This pose is most often associated with meditation as it requires patience & time to fully achieve, allowing your body and mind to reach a state of serenity. A perfect gift for that special yogi. Great worn alone or layered with your favourite accessories. Lightweight and easy to wear. If you'd like to give this thoughtful piece as a gift, a short personal note can be added for the recipient, just let me know what you would like written! Beautiful necklaces and great customer service. Thank you!! The product was perfect! Handwritten card plus a free heart bracelet! Could not be happier with this product and the owner! Excellent quality. Very nice presentation. Can't wait to give this gift!